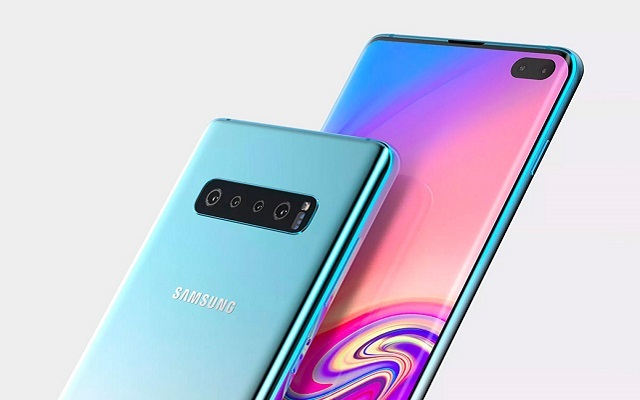 Samsung Galaxy S10E is considerably a cheaper model as compared to its siblings. That’s why it has thicker bezels and just two cameras on the back. Samsung will place fingerprint reader on the side frame. If you look closely in the picture, you can see a small indent on the right frame. That’s where the power button acting as a fingerprint reader is. The small button under the volume rocker is the dedicated Bixby button. According to the latest report, Samsung Galaxy S10 Lite will come in red, black, yellow, blue, white and green. Moreover, the red and yellow colors will be specific to only Galaxy S10 Lite. 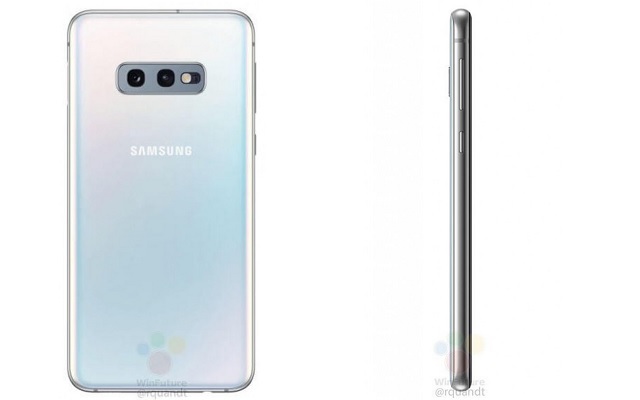 Moreover, the previous renders reveal the three different screen sizes of the Galaxy S10 series. According to the renders, the smallest and most affordable S10 Lite will come with a 5.8-inch display with a punch hole for the camera in the middle. On the other hand, the regular S10 will sport a 6.1-inch screen with the same front-facing camera design. The biggest Galaxy S10 Plus version will have a massive 6.4-inch display and two holes for a dual-camera setup.